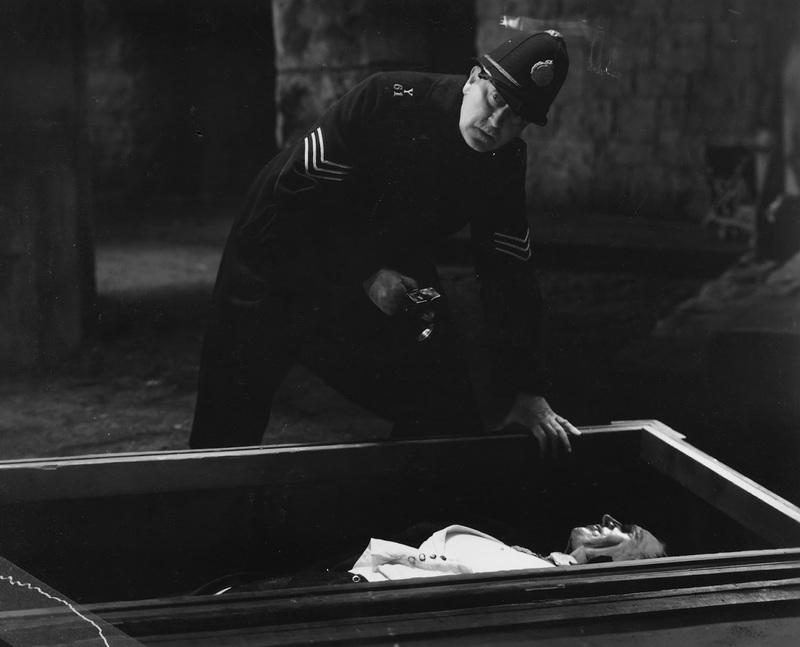 Early in 1936, the so-called ban of horror films went into effect in Britain (which was actually a change to the rating system which barred anyone under age 16 from attending). Hollywood ceased horror production. Lugosi only then realized how fully he was typed as a genre star. He completed a few films already in production, and then found virtually no work. A few Saturday serials and some stage work would be his only employment for almost three years. As he is seen by the public, Bela Lugosi is the screen’s most sinister figure. And in his private life he still remains as the strangest man in Hollywood—a man whose deep set eyes seem to mask terrible thoughts, and one whose mental processes hold him aloof from his fellow men. 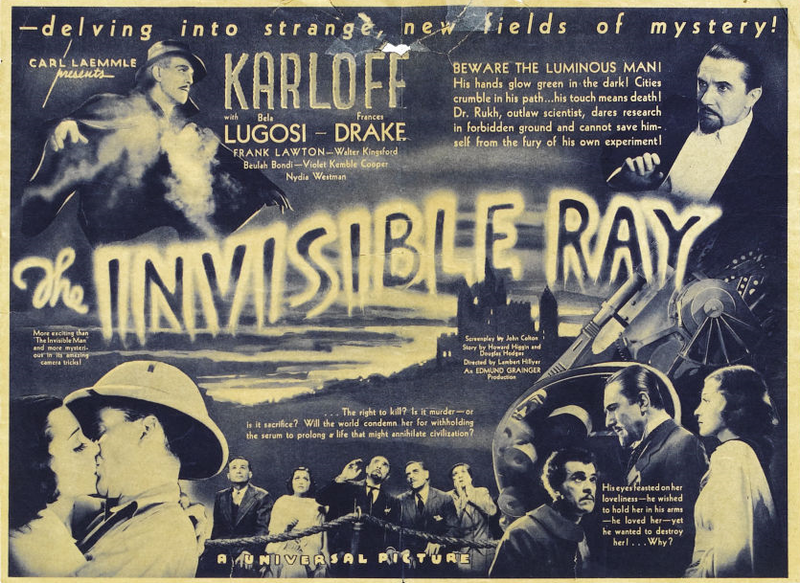 For five years Lugosi has lived in the film capital, but no one knows him. With his wife he lives in a secluded house high in the Hollywood hills, barred to all except a few Hungarian countrymen. A sign at the gate bids one to “Beware of the Dogs,” and within the grounds roam six unfriendly canines, ready to pounce on any intruder. Truly, he is a man who walks alone. The only star in Hollywood who does not own an automobile is Bela Lugosi, who claims that Americans exercise too little and who takes long walks to keep in prime physical condition. Hollywood, Feb.20—Dracula is dead, and chief celebrant at the obsequies is Bela Lugosi. With the movies’ genius for reincarnation, nobody was sure that Dracula had drawn his last evil breath until Universal began filming Dracula’s Daughter. Lugosi isn’t even in it. The picture will show a Draculanean dummy on its bier, deader than a doornail. So Lugosi looks ahead, as he did in the days when he was a leading man in the Hungarian National Theater, playing Ibsen, Shakespeare and such. At 48, his days as a romantic star are over, but at least he can do a variety of roles—most of them sympathetic ones. There has been horror enough in his own life. When the war interrupted his acting he was wounded, gassed, shell-shocked, and invalided home a captain. Later he became identified with the wrong side of one of the several revolutions which followed the collapse of the Central Powers, and fled for his life. He appeared in German movies and sailed for America on a ship that tried its best to sink all the way across the Atlantic. He knew scarcely a word of English when he landed in New York started out to rebuild his career. His heavy accent might have been an insurmountable handicap if a producer hadn’t seen him in a Hungarian play and recommended him for the role of Dracula. It played three years, grossed $1,900,000, and later was made on the screen. But the play typed Lugosi as a heeby-jeeby man. His part in the English Mystery of the Mary Celeste was his first return to straight drama. Recently came his part as the “good” actor, opposing Boris Karloff in The Invisible Ray, and two more sympathetic parts will follow. So Lugosi seems to have shaken off Dracula’s ghost. He lives in a big house surrounded by a wall and five menacing dogs. To see them and the master’s private arsenal, you’d think he still feared reprisal by his Hungarian political enemies of 1918. He doesn’t though. Lugosi is an American citizen, and really a very friendly fellow. He’ll show you his stock of imported wine, and the nauseous sulphur water that he drinks, and his treasured books and oil paintings. His fourth wife is a pretty girl of Hungarian descent who formerly was his secretary. She washes his shirts. The actor’s remarkable physical condition wasn’t attained without a good deal of self-discipline. He rises early, at 5 or 6 am, drinks fruit juice and sulphur water, calls his dogs and hikes 10 or 15 miles in the hills. Returning, he has a bit more fruit juice, or maybe some raw vegetables juice. No solid food until night” then he has raw vegetables and a pound of meat, rare. Lugosi is a cover-to-cover reader of a dozen leading national magazines. He’s one of the few Hollywoodsmen who take citizenship seriously; conscientiously registers and votes every election. Methodical, too: his days are charted to the minute. Los Angeles, March 21—(AP)—Bela Lugosi, who specializes in film horror roles, proved that he really is mild by nature. He appeared to testify against Mano Glucksman, arrested recently in Tucson, Ariz., charged with forgery. Lugosi waited two hours and then the court told him the hearing would be deferred one week. Lugosi smiled and said amaiably that he didn’t mind and would be glad to appear. Los Angeles, March 23—(AP)—Forgery charges against Mano Glucksman were dismissed today by Judge Clement Nye when a star witness for the prosecution failed to appear in court. Glucksman was accused of forging the name of Bela Lugosi, movie actor, to a check for 100 pounds on the Midland Bank of London. Lugosi was in court, but did not testify. The name of Bela Lugosi is synonymous with flesh-crawling horror roles and heebie-jeeibe screen portrayals, so far as motion picture fans are concerned. 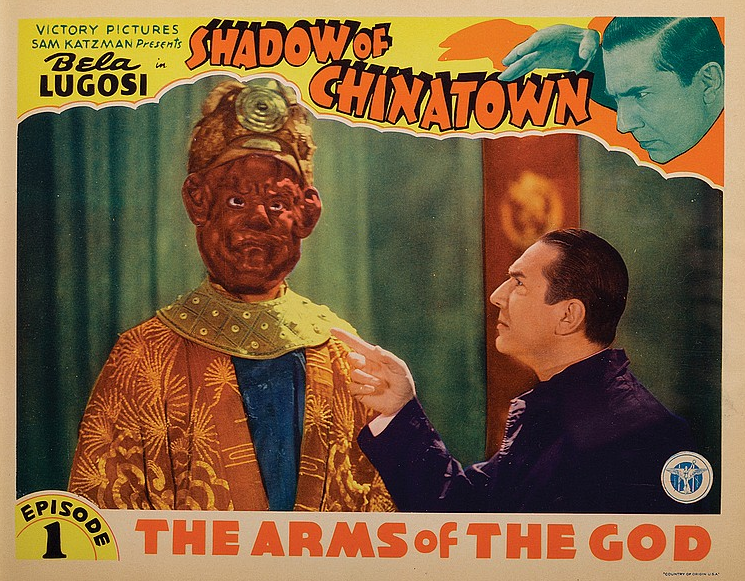 None of his many admirers will change their opinions in this respect after witnessing the vivid, breathtaking performance Lugosi gives as the star of the big thrill serial, Shadow of Chinatown. In private life Lugosi is probably Hollywood’s strangest figure, a man whose deep set eyes seem to make terrible thoughts, and whose mental processes keep him apart from his fellow men. He has lived over five years in the film capital, yet few people really know him in the exact sense of the phrase. He resides with is wife in a secluded house high in Hollywood’s hills, barred to all except some of his Hungarian countrymen. A sign on the gate bears the warning—“Beware of the Dogs.” Within the ground roam six gigantic, unfriendly canines, ready to leap upon any strange intruder. Literally he “lives his own life,” and never takes any part in the night-club diversions of Hollywood. Another of his peculiar distinctions is that he is the only star in Hollywood who does not own an automobile. He claims Americans do not take enough natural exercise, and indulges in long walks in order to keep in good physical condition.